The way your smile looks communicates with the people you meet before you even speak. White teeth communicate health, wellness, success, and attractiveness. Teeth whitening is one of the most requested cosmetic dentistry services because it is one of the easiest and most effective ways to enhance the beauty of your natural teeth. At our practice, we offer both in-office whitening and take-home whitening options. No whitening treatment works as well as a professional whitening treatment from your cosmetic dentist. With in-office whitening from Hamilton Family Dentistry, you can have a dazzling, white smile in less than two hours. Our in-office tooth bleaching treatment allows us to get rid of tooth stains and discoloration in only one appointment. The results of our power whitening process can last for years. In-office whitening is the perfect option for patients who have a wedding or other social event and for patients who want to enjoy the benefits of a brighter smile fast. At Hamilton Family Dentistry we also offer take-home whitening kits. Take-home whitening kits utilize a special whitening gel that is only available from your dentist and is more effective than traditional over-the-counter whitening treatments. With a take-home kit, you can whiten your teeth at your own convenience in your own home. Each kit will come with custom-fitted whitening trays and with easy-to-use whitening instructions that will allow you to take control of your smile’s brightness. You’ll be able to see the full results of your whitening treatment in as little as two weeks. Take home whitening is a great option for patients who are looking for an affordable, effective and lasting solution to staining and discoloration. Both of our whitening treatments are effective and completely safe for the enamel. 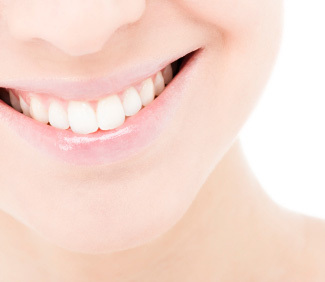 To find out more about our teeth whitening treatments, call us at our office today.